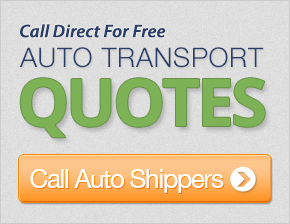 Get up to 7 free auto shipping quotes from the largest, most trusted Tennessee auto transport companies and save up to 50% on your car shipping rates at CarMoves.com. Car shipping companies in Tennessee compete for your business, which is how you can save hundreds, if not thousands of dollars on car transport services by shopping with us. Whether you're shipping a car to Tennessee, across the country, or even overseas, we can help you get the best price on your shipment - guaranteed! Read more about the following auto transport companies in Tennessee before getting a quote. Click on the name of the company to read a full review. Get a free auto transport quote today to find out how much it costs to ship a car to or from Tennessee! Tennessee is one of the country's great Southern states, with large populations spread out over several major urban centers throughout the state. The two largest city centers in the state are Nashville, located northwest of the geographical center of Tennessee, and Memphis, a city found on the southwest corner of the state near its borders with Arkansas and Mississippi. Eastern Tennessee also has the state's third and fourth largest cities: Knoxville and Chattanooga. Besides its abundant cities, Tennessee is also known for its remarkable landscape, complete with its own portion of the Appalachian Mountain Range, the distinctive Great Smoky Mountains. Situated inside the Great Smoky Mountains National Park, the most visited US national park, the Great Smoky Mountains include the largest swathe of old growth forest in the eastern US. 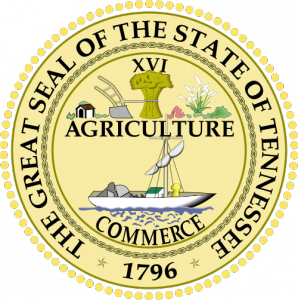 Tennessee's history has been quite varied over the centuries, though, in years prior to the 20th century, the state maintained a largely agrarian, rural economy. Today, however, the state has flourished with the development of Nashville as the country music headquarters, as well as Memphis's strong local business, food and music culture. However, agriculture still provides numerous jobs throughout the state, as farmers continue to plant cotton and soybeans, while also maintaining expansive herds of cattle raised for beef. Like many Southern states, Tennessee has struggled with racism throughout its history, with events like the assassination of Martin Luther King, Jr. in Memphis and the original formation of the Ku Klux Klan in the rural city of Pulaski by former Confederate soldiers. How much racism in the state has improved is debatable, but Civil Rights legislation granted mostly equal rights to Tennessee's numerous people of color. While Memphis might be Tennessee's most populous city, Nashville is truly the center of the state's grand culture. The state capital's diverse economy specializes in health care and banking, serves as a regional transportation hub, and, of course, houses a major component of the US music industry. Music fans, and Christian and country music listeners in particular, can enjoy live music weekly at the internationally recognized Grand Ole Opry, a venue that has been in operation since 1925. Music Row, on the other hand, is where most artists, engineers and managers work. In addition to its love for music, film is also big in the city, as the Nashville Film Festival, held annually in April, is the longest running film festival in the South. Finally, Nashville is the site of a celebrated private university: Vanderbilt University, which is considered by some to be a "Southern Ivy." The school's acclaimed medical, space, and engineering programs are all highly regarded nationally. CarMoves.com works with car shipping companies throughout the state of Tennessee. We can help you get the best prices on car transport services to the following cities in Tennessee: Memphis, Nashville, Knoxville, Chattanooga, Clarksville, Murfreesboro, Jackson, Johnson City, Franklin and many more. If you don't see your city listed, don't worry - we can get your vehicle shipped anywhere in Tennessee. Scroll to the quote section on this page to compare free auto shipping quotes from up to 7 Tennessee auto transport companies and save up to 50% on your move! View the Tennessee Department of Transportation website for more information.